This easy placemat weaving craft activity is the perfect way to brighten up your table during the holidays. This craft activity is quick and easy, doesn't cost a lot in materials, and adds a special touch at each table setting. You could even hang it on the wall if you wanted to! Do you have a certain section of the store that you always wind up in – even if nothing from that aisle is on your list? I'd say 9 times out of 10, I end up in the craft section when we go to Walmart. Sometimes I have a craft project in mind. Other times I wander around, letting inspiration strike as I browse supplies. While I was in the paper craft aisle at Walmart, I recalled weaving paper to make placemats when I was a little kid. I decided to share this nostalgic craft with my kids, and put our own creative spin on it. 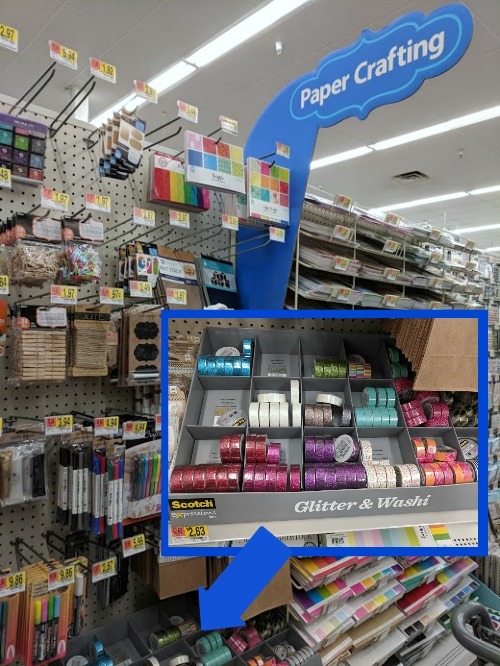 I picked out several colors of Scotch® Expressions Glitter Tape and some colored card stock. Not only is this project simple to make, but it is an affordable craft activity for the whole family. My kids loved working on this with me so much they kept asking to make more placemats. I love how I can take my inspiration and be hands-on with Scotch™ Brand. Feeling crafty? Hover over the photo to shop these great Scotch™ Brand products and make your own placemats! Select two pieces of paper. You can choose two different colors or stick with white paper. Open the paper and lay it flat. Take Paper B and lay it down horizontally so it is longer than it is tall. 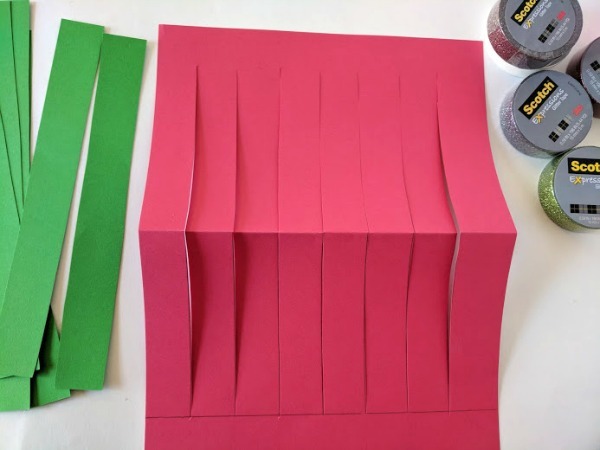 Use a ruler to measure and cut the strips of paper. You will use these to weave through the other one. 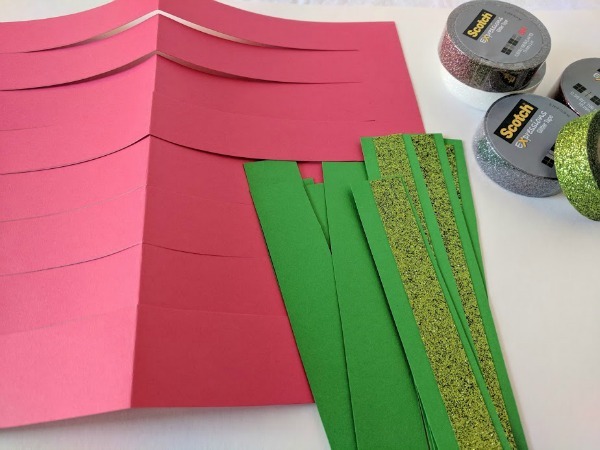 Use Scotch® Expressions Glitter Tape to decorate the paper strips. Weave the strips through Paper A. Use Scotch® Expressions Glitter Tape Platinum along the edges to secure the strips and make a pretty decorative border. If you are not planning to laminate your placemats, you must secure the strips of paper you weaved through your placemat. Alternatively, you can weave your placemat first, then decorate as you wish with the Scotch® Expressions Glitter Tape. This is how my kids preferred to make theirs. I prepped all of their supplies, then provided pieces of the Scotch® Expressions Glitter Tape as requested. It was a great fine motor activity for them to stick pieces of tape to their placemats. 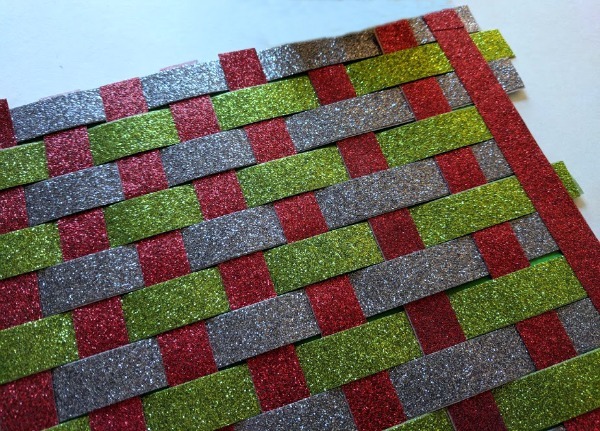 For fun, I also created a placemat by weaving strips of Scotch® Expressions Glitter Tape. I used two pieces of tape stuck together to create each glittery strip. 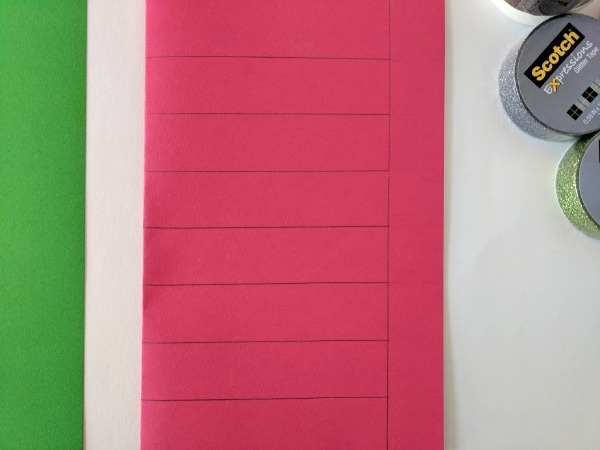 I weaved the strips together carefully on top of a piece of paper to make it easier to place inside a laminator pouch. I love how it turned out! To protect and preserve your placemats, I suggest laminating them. The Scotch® Create Thermal Laminator is perfect for creative projects like this! Click here to find more crafty inspiration for your next project. 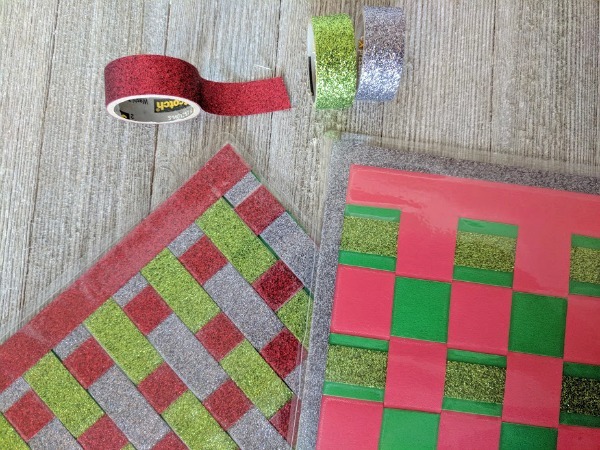 From festive holiday decor to fun personal creations, the versatility of Scotch® Expressions Tapes turn everyday projects into something special. 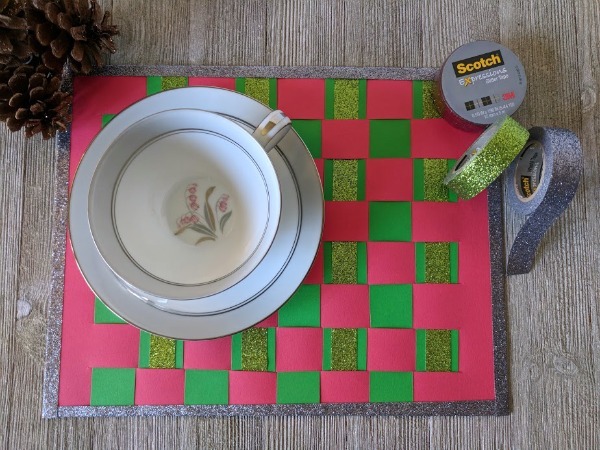 I love how easy it is to recreate this placemat craft project in a variety of ways just by using different Scotch® Expressions Tapes. 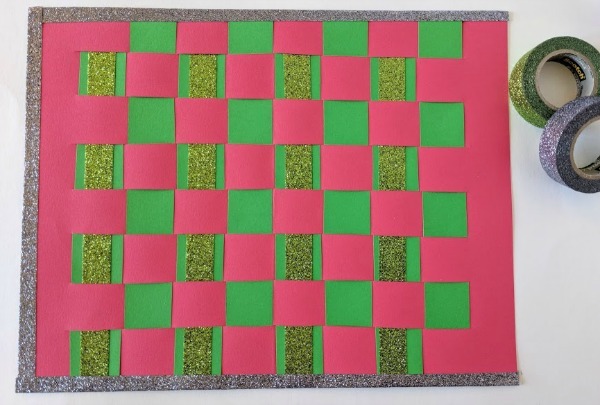 You could make custom birthday placemats for your kids, use team colors for football parties, or different holiday themes throughout the year. The possibilities are limitless! I love how these turned out! I especially enjoy the one that is all glitter tape. So cool. I remember making these when I was little. Such a great project for kids.